Silver Lake is an up and coming neighborhood in Los Angeles. When I was little, all I knew about it was the reservoir and that some of my grandmothers friends used to live there. I went to one of their parties and was like “damn, how posh can this get?” Today, Silver Lake is known from their restaurants and clubs. I also know it for their stairs (or secret stairs as many would call it) and one prominent “art” piece. Most of which are found on Sunset Blvd. That one prominent “work of art” is the Bates Motel between Sunset and Bates. The building is properly known as the Sunset Pacific Motel. However, locals call it the Bates Motel as it is located on Bates and it embodies the creepiness of the Bates Motel in the 1960 classic movie Psycho. The motel was about to be turned down, but instead it was covered from top to bottom in lime wash by the artist Vincent Lamouroux. He calls this art piece ProjectionLA. If you continue along Sunset Blvd. you’ll find a set of stairs. It’s kind of difficult to find the stairs if you don’t know where to look (hence they’re hidden). I guess a little background. Before Los Angeles became the mecca of all car riding and “cheap” parking; people used to walk, bike, take trains and buses. Of course, the stairs weren’t really “hidden,” it’s just that they were more prominent back then. 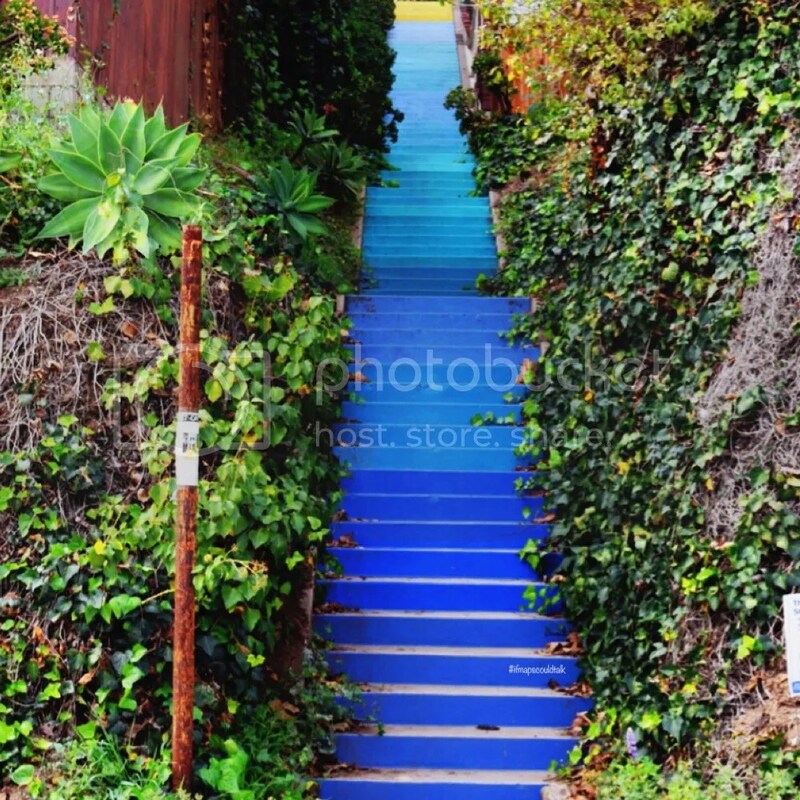 There are about 52 historic stairways in Silver Lake. All are part of their adopt-a-stairway program. Some have been preserved by locals (adopters). These adopters have their own way of keeping the stairs preserved; some have been creative enough to paint them. 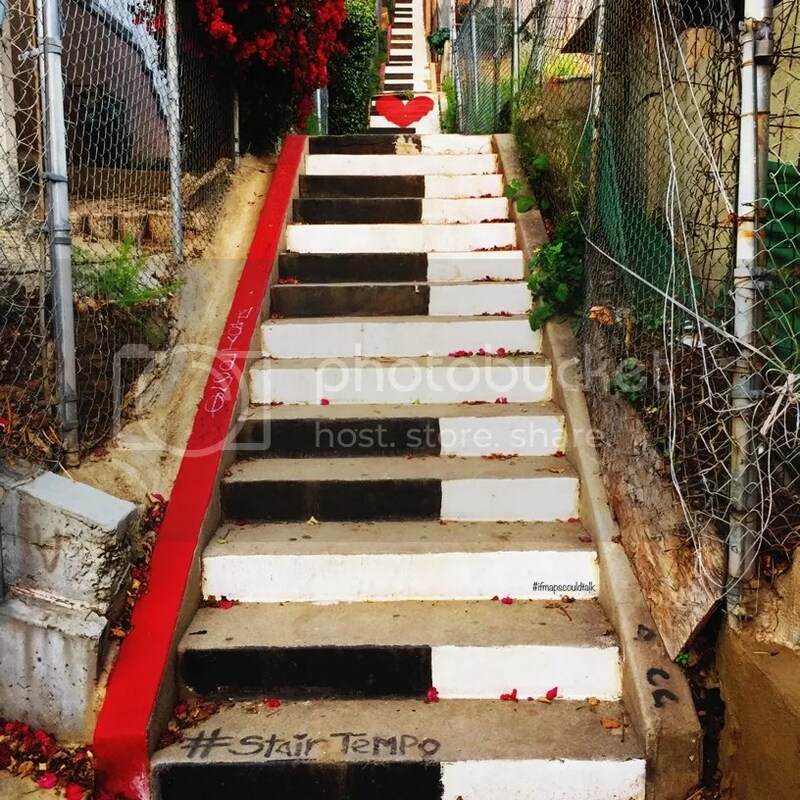 One famous flight of stairs is called the Music Box Steps which are located between lower Descanso Drive and Vendome Street. The movie named “The Music Box” was filmed on these stairs. The plot takes a pair of movers attempting to move a piano up a large flight of stairs resulting in it rolling and crashing into the street below. The most current known are the ones on Sunset Blvd called the Stair Tempo and Stair Candy. Both are painted by Corinne Carrey. I believe Stair Candy is part of the Music Box Loop. 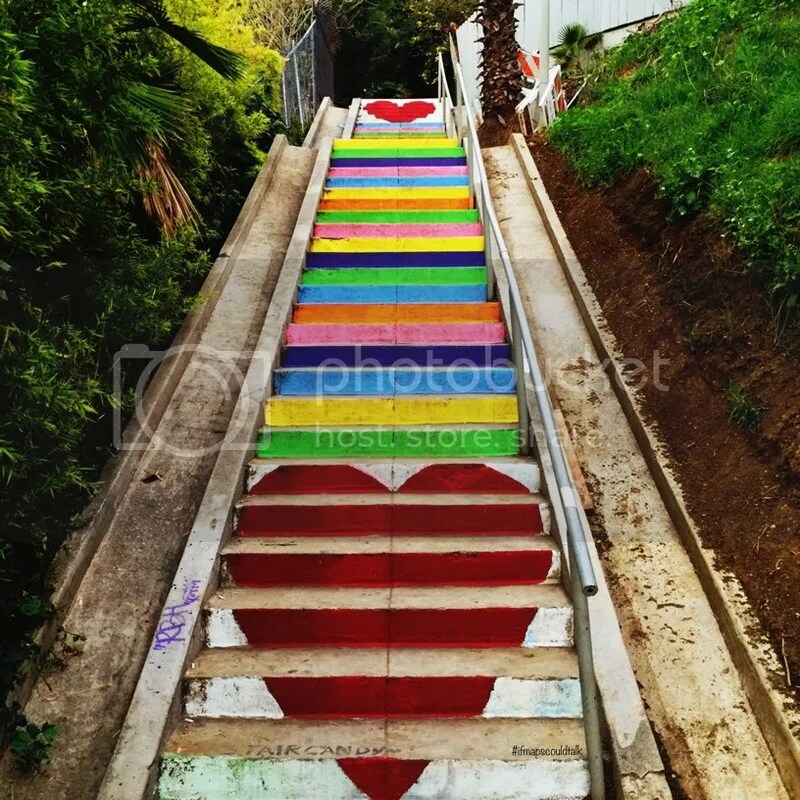 Stair Candy is located on the intersection of Micheltorena and Sunset Blvd. Stair Tempo is a little east from here (almost half a block away and across the street). The entrance is on Sunset by Ali Mama Café (3229 Sunset Blvd). Another set of stairs (not on Sunset Blvd but close to Silver Lake Blvd) is close to the reservoir. These are really hidden three flights of stairs that starts on Westerly and ends up on Webster; called the Swan Stairs. If you google map it, they will lead you to this stairs. I just think that they are so pretty. These stairs are painted by Evelyn Leigh who works with geometric designs. Silver Lake is just one treasure trove after another. Is there anything that I might be missing? 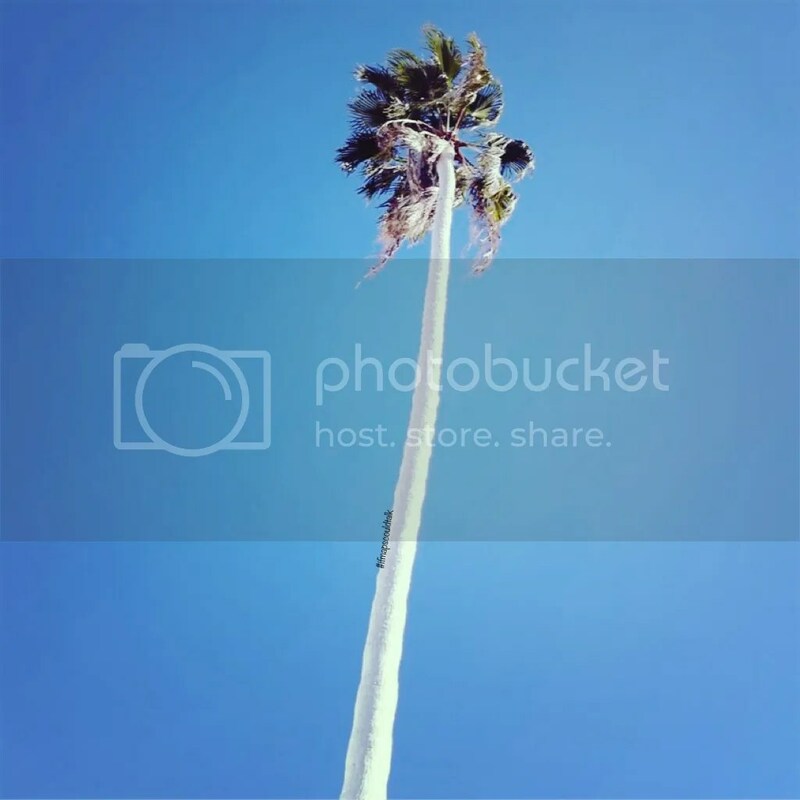 This entry was posted in Downtown, See and Do and tagged Bates Motel, Chandelier Tree, Los Angeles, Secret Stairs, Silver Lake. Bookmark the permalink.